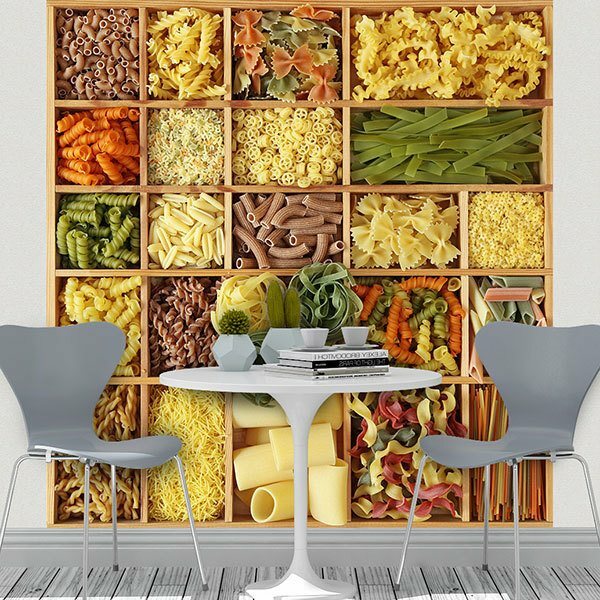 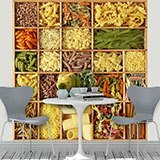 Wall mural Collage Italian Pasta. 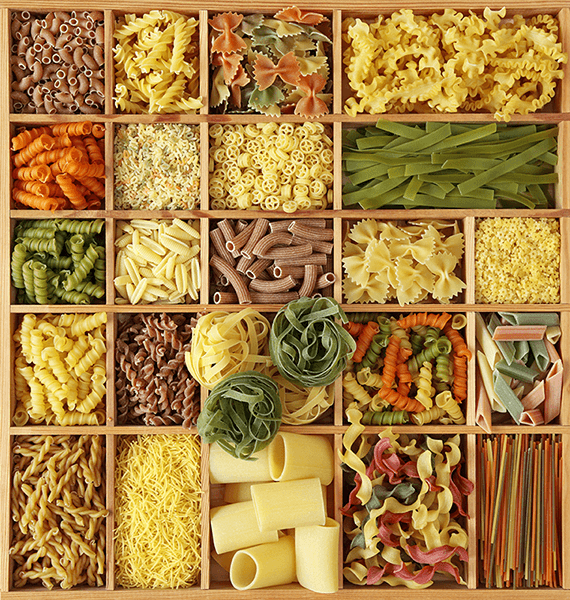 A complete collection of different types of coloured Italian pasta in a wooden separator. 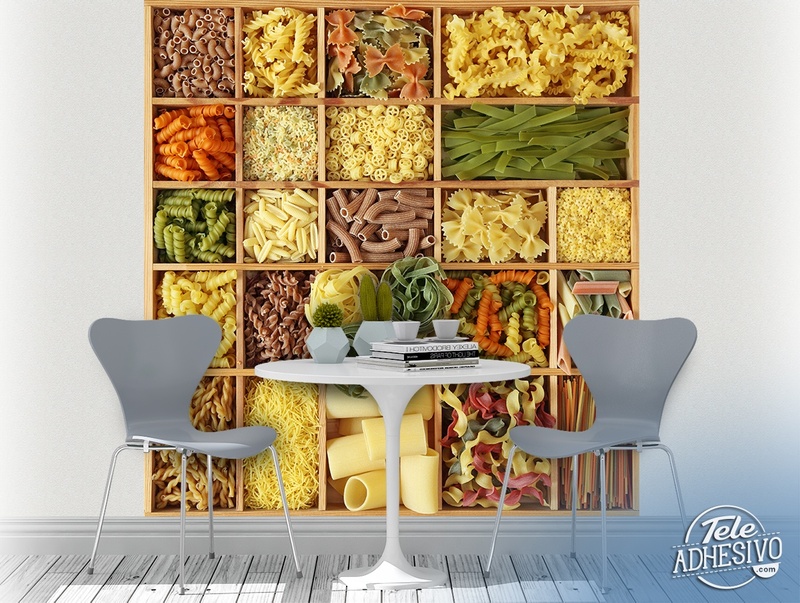 The layout created by collecting the diversity of pasta types creates a very original culinary harmony to decorate a business or your own kitchen.